Many musicians can only dream of career with longevity like what New Brunswick’s Danny Boudreau has achieved over the last 40 years. He was born with music in his blood. At the age of seven, Danny began performing live music with his father, sister and brother. When he became a teenager, he began writing his own songs. Those songwriting exploits have resulted in six full-length releases in the last 20 years. Danny’s debut record Sans detourwas released in 1994 while his most recent effort, Les petites heures dumatin was released in 2012. Perhaps ironically, Danny says he initially had more than a few reservations about chasing a career in music. “I started playing clubs with my family at age seven and then started writing my own material as a teenager. From then on, I knew that it was something I was interested in doing,” he says. Danny’s decision to pursue music was cemented in 1990 when he was the winner of Le pouvoir de la chanson, a Campbellton-based songwriting contest. As a part of the prize, Danny was given the chance to record his first single. Rather than trying to capitalize on the momentum of the contest win, Danny spent the next four years continuing to refine his songwriting craft and live show. He considers those few years leading up to the release of his 1994 debut to have been well spent. While things were indeed looking promising for the artist in the time following the release of Sans detour, the business side of things had proven to be a little more challenging. This explains the six-year gap before Odyssee was released at the turn of the century. The significant layoff between records did nothing to harm Danny’s standing with his fans or the industry. At 2001’s Gala des etoiles, Danny won five of the seven awards that he had been nominated for, including male artist of the year, pop artist of the year and pop album of the year. 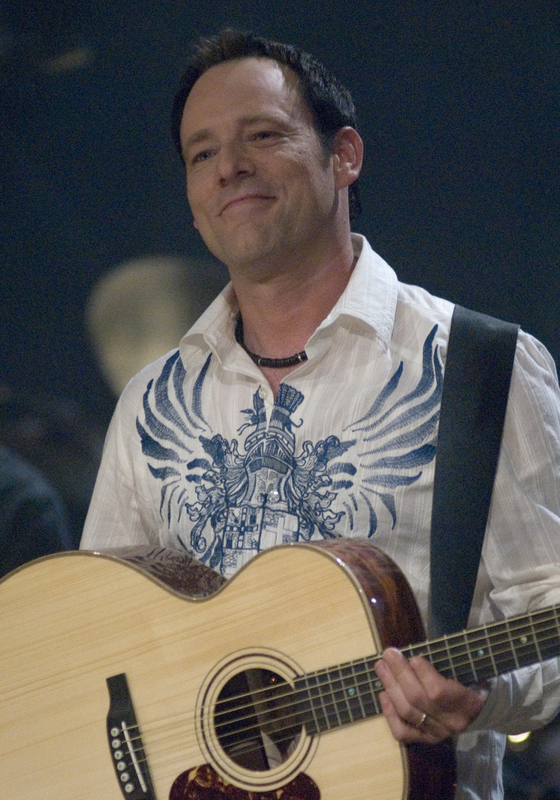 He also earned the Radio Canada Acadian song of the year for his song “Melanie”. Danny capitalized on the momentum and success of Odyssee with 2003’s release Coeur variable and J’aime le vent, released in 2007. His 2009 record Mes legendes saw the singer–songwriter pay tribute to artists, like Zachary Richard, who have influenced his work while also nodding to the next generation of Acadian singer-songwriters, such as Pascal Lejeune and Joseph Edgar. For his next studio album, Danny is bringing some of his past songs into the modern day. Working with acclaimed producer and musician George Bellieveau, Danny is revisiting his catalogue and has selected 11 previously released songs with the goal of giving them a musical makeover. “My next record isn’t as much a best of collection as it is approaching the songs with a different outlook,” Danny says. “With this new record, I selected a collection of songs that could be adapted to have a specific, new country kind of punch to them. As finicky as the music business can be, Danny is the first to recognize that he has been fortunate to have carved a music career for himself all while remaining a proud New Brunswick resident. Music is a full-time occupation for him whether he is performing his own material or writing and performing with others. And just in case you’re wondering, Danny has no plans to hang up his guitar anytime soon. In fact, lasting another 40 years sounds just about right. When: Wednesday, Feb. 26, 7:30 p.m.